I thought it was tough cycling from Land’s End to John O’Groats but Russell Smith from London completed the trip in August on a scooter. No, not one of those with an engine, a real scoot along one. 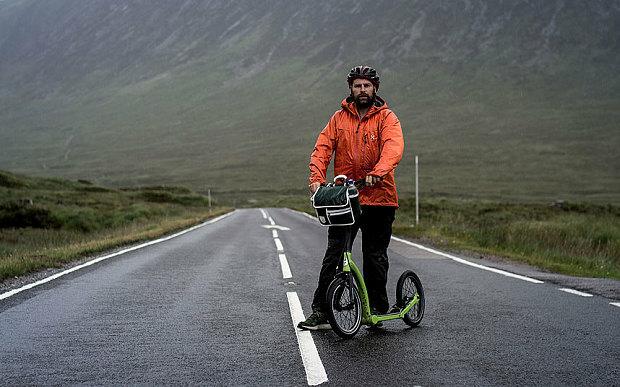 Russell completed his 975 mile route (with over 14,000 metres of vertical ascent) in 21 days, averaging a little over 46 miles a day and believes he has set two world records, one for the longest distance travelled on a 16 inch wheel scooter and one for the longest distance in 24 hours.